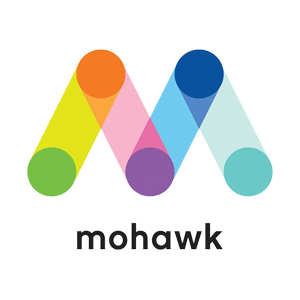 Mohawk is a fourth-generation family-owned business, started by George O’Connor in 1931 and owned by the O’Connor family. The company has warehouses in New York, Ohio, California, Washington, and is able to reach 80% of the contiguous US market next day. We are proud to have Mohawk as a partner, their dynamic business thinking and sustainability focus ties in perfectly with our ethos at Xanita. Antalis are the UK’s leading supplier of communication and packaging materials into the print, sign and display, office and publishing markets. Whether you’re running a commercial printing company, a graphic design or advertising agency, a packaging firm, or a small office, Antalis have something to offer your business to help you get the best from your paper based communications, whilst saving you time and money. Antalis have a market leading range of over 14,000 products including papers, envelopes and consumables, as well as packaging, promotional and visual communication materials; and it’s all backed up with a service that is second to none. With 25 year experience in this industry Sentec offer the extra step to fulfil all your printing needs. Sentec people are passionate about their business and search the world for the best and most innovative products. Sentec offer a higher level service than can be expected from a manufacturer or paper mill. By doing business with Sentec, you directly reduce your supply chain and procurement efforts, with access to all kinds of large format printing products in combination with marketing tools and support. Incorporated in 2006, Xanita Oceana has been with us pretty much since the beginning. Oceana is the only market out outside of South Africa that offers a Xanita MDF solution..
Kalideck Antalis Southern Africa is the Leading Distributor of: Paper for Print and Office, Digital Media & Display, Graphics, Packaging and Logistics Solutions. The company is also the largest FSC certified paper merchant in Africa! Kalideck Antalis strives to be the customer’s first choice for the supply of quality product and service offerings. From printers, publishers and advertising agencies to major corporations and public administrations, their customers are at the heart of their strategy. Blue Rhine distributes materials used by sign makers, digital print houses, POS/POP makers, retail fit-out companies, exhibition stand builders, digital system integrators, construction companies, glass and aluminium fabricators and vehicle converters. Their network consists of 20 distribution centres in the GCC countries, of Saudi Arabia, U.A.E., Oman, Qatar, Kuwait & China. From our UAE and China distribution centres we are exporting globally. Print Solutions is based in Dublin, just of the Naas Road near the Red Cow Moran’s hotel. They have over 70 years experience in the supply of materials to the Print & Signage industry in Ireland. 100% Irish owned, they offer the largest range of unprinted, virgin materials from one distributor and pride themselves on offering a complete and professional service supported by a dedicated and committed team, whose knowledge and expertise in the industry is second to none. Print & Digital Media specialise in the supply, marketing and sales of media & substrates for Large Format Printers. Print And Digital Media, was established with the intention of bringing high quality print media into the local Singapore market. They are well versed in the large format industry with nearly 15 years of experience. Their core principle is “quality without compromise”.